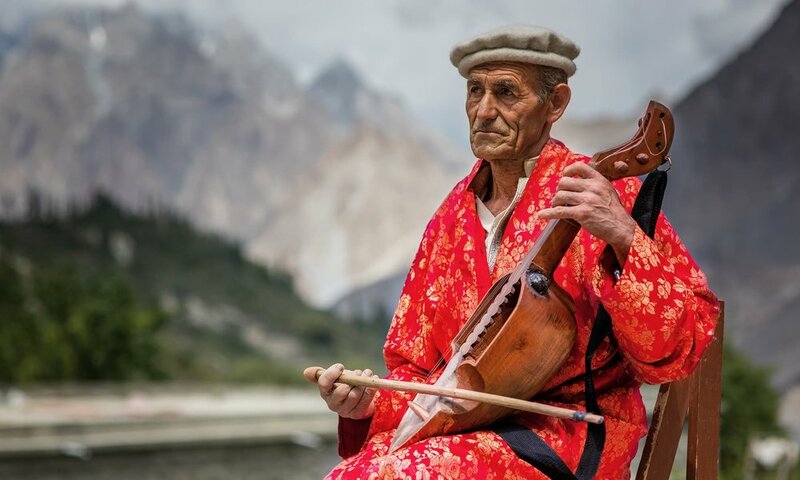 Impeccably dressed in crisp white garb, black waistcoats and neatly-polished black shoes, the students of the indigenous music school Bulbulik in Gojal Valley, Gilgit is making efforts to revive musical traditions that are on the verge of extinction. There may be little support but that has not discouraged the institution from doing what it loves: playing freestyle/Pamiri music with conventional instruments like Ghazxek, Surnaye, Tutek, Gabi and Sitar. The musicians feel happy when onlookers cheer for them; when they play their soothing lullabies, the native Parmiri find a voice. 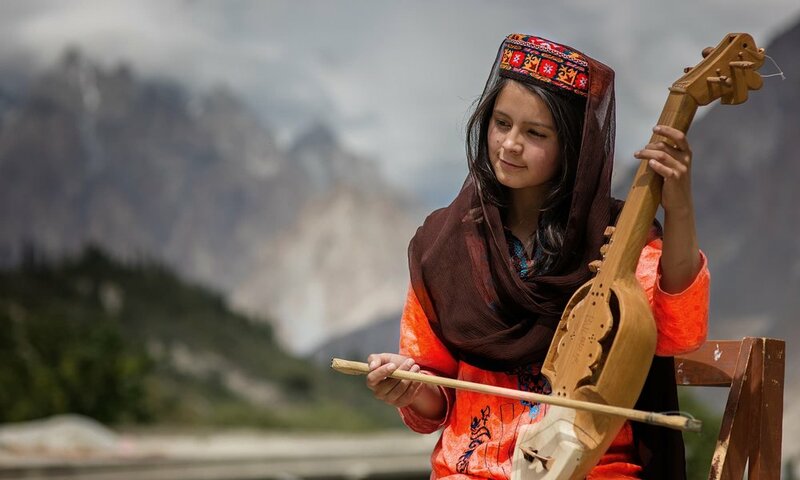 “Bulbulik is the first folk music school in the area and have even given opportunities to female students to come and learn alongside their male counterparts,” said Didar Ali, the culture development officer of Bubulik. “In the past, music was neither widely accepted nor were women allowed to play musical instruments.” He added that so far, some 35 female artists have been trained in various folk instruments. Run by Gulmit Educational and Social Welfare Society, Bubulik is named after nightingales which are frequently mentioned in Persian and Urdu poetry. The school takes its name from Wakhi folk culture known as Bulbulik. Shepherds of lowland areas sing while they travel to the highlands to send messages back home. Its roots can be traced back to 1985, when a small school was set up by Muzafaruddin Shah to create awareness about protecting one’s own melodies. The present initiative, however, is hardly a year old.